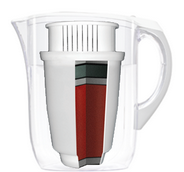 Head on over to the link to snag a FREE ZeroWater Water Pitcher Filter! This filter does indeed fit any Brita pitcher so that's a plus! Please allow 6-8 weeks for delivery! In addition to the free filter, you can also print yourself $30 worth of ZeroWater coupons! And don't forget to sign up for FreebieBuzz's Buzzing Text Alerts so you never miss a hot post!